Is your yard small, and filled with trees? 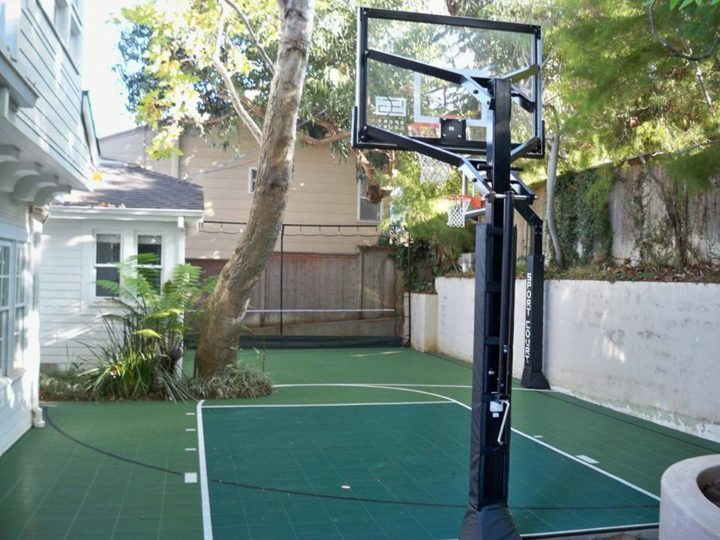 No problem, we can adjust, maneuver and shape the court with the yard provided. No space is too small for us. Sometimes the best courts are the oddly shaped ones. Take this triangle shaped court for example. This area of the yard was perfect for a corner court. 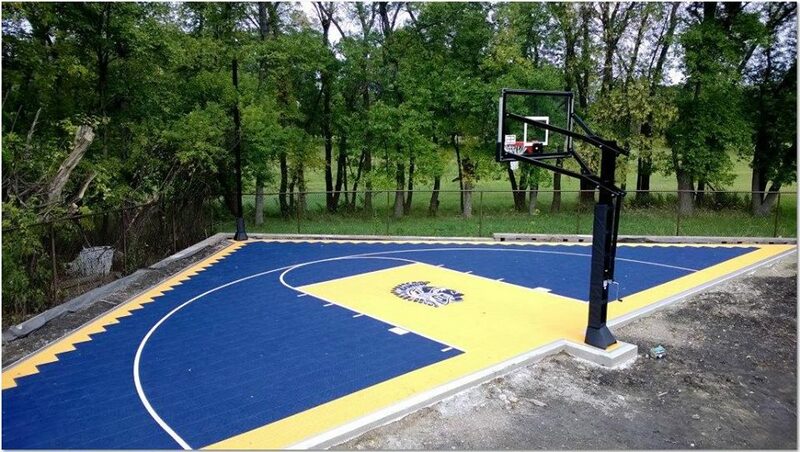 All it took was some minor adjustments, and some school spirit to make this court a basketball lover’s paradise. Minnesota and Wisconsin winters are brutal, especially during hockey season. Don’t you wish you could practice your slapshot inside your home? Well, you can! We have the ability to fit an indoor court into any size room. 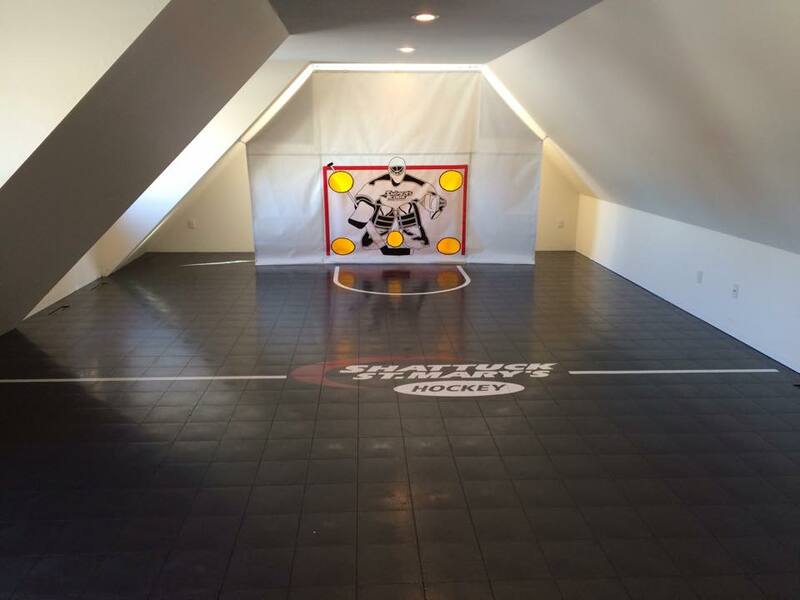 The example above shows a hockey court in an upstairs attic. If you have the space, we have the court. 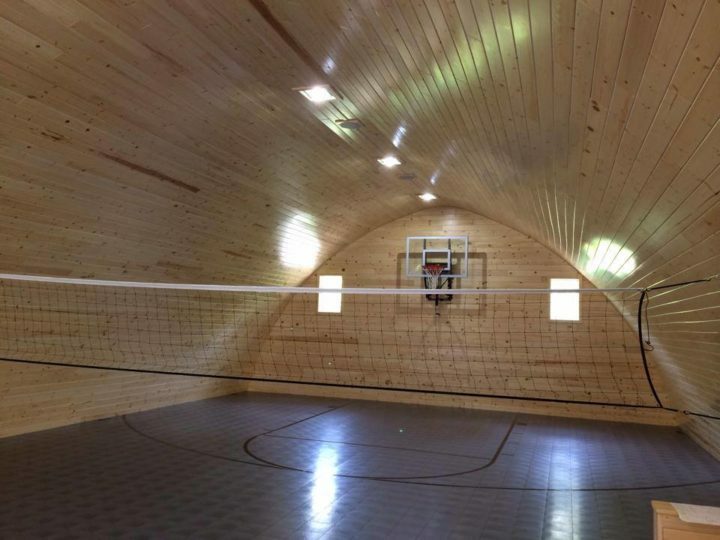 This multipurpose court for example was built in the top of a barn. Add a hoop and a volleyball net, and you have a wonderful play area for the kids during the winter! So if you are worried that you may not have the space for the court of your dreams, worry no more! We have the ability to fit court’s into nontraditional, and tight spaces. Visit our website to learn more about our services.